"You won't find our printouts here, you'll have to steal them from somewhere else!" Welcome to the slimiest place on Smilestone Island. 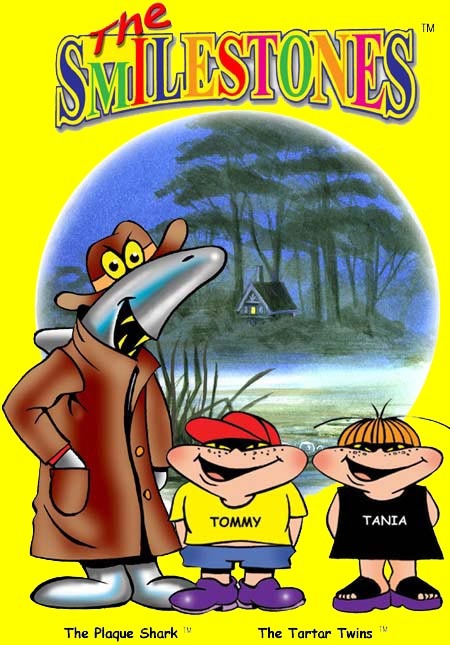 Shark Swamp, home of Sharky, the Plaque Shark, his canine companion Nasher, the Denture Dog and the terrible Tartar Twins, Tommy and Tania.